"Laws" cause even me to alter my behavior. Sometimes. I recently raised a couple of orphaned raccoons. Their mother was hit by a car, and they crawled out of the nest days later, desperately searching for food. The landowner- a relative of mine- found them and brought them to me. And, I kept it fairly quiet. 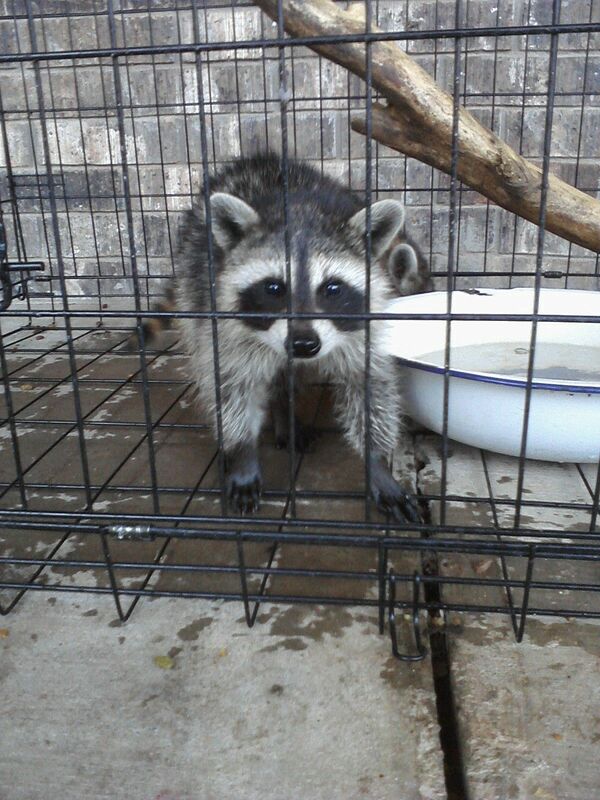 According to some people, it is "illegal" to rescue raccoons around here, and- so I gather- particularly in town. Not that I actually checked into it, because I have a serious lack of concern about legality, but they were probably right. 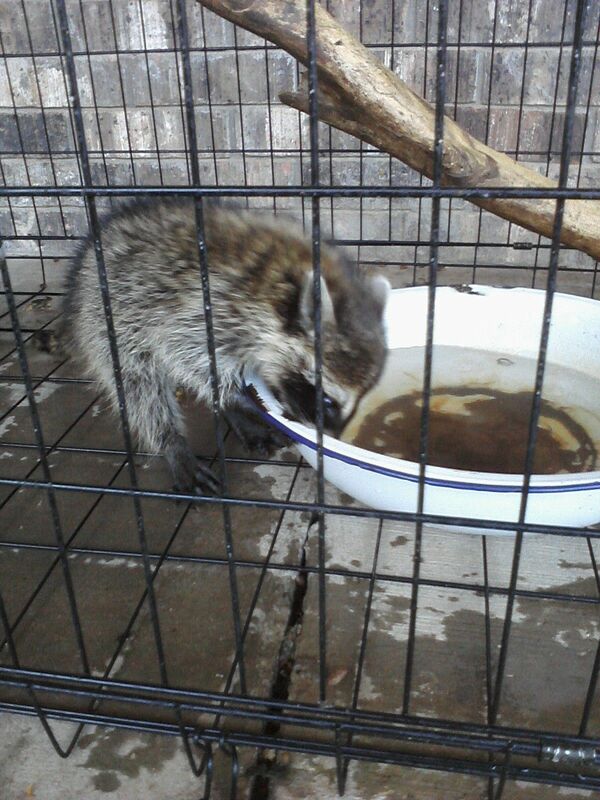 I used to do animal rescues all the time- often having multiple wild orphans or injured adults simultaneously. I even had government-employed "state wildlife biologists" bring me animals without demanding to see a license or anything. I've had hawks, a vulture, a skunk, raccoons, a heron, rabbits, squirrels, blue jays, and many others pass through my house and survive. In fact, I had one squirrel and one raccoon who kept coming for visits for a long time- both had been single orphans, which got a little more attached than usual. 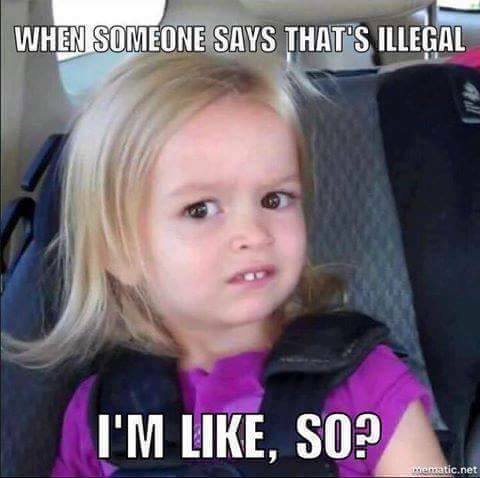 I never even thought about "laws" during that time. But, apparently, the "law" just gets more and more dangerous to regular people every year. So, out of respect to others, I just kept my mouth shut. Some others didn't, and word spread through some loose lips, but I escaped getting caught committing my heinous crime. They grew, got stronger, cost me money I didn't have to spare, and eventually began to revert to the wild after they were weaned. Just as they needed to. 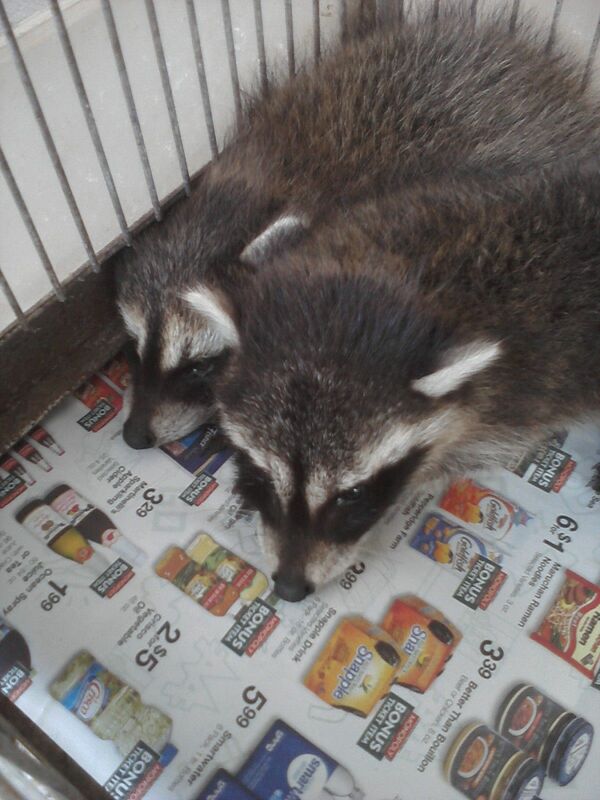 And now the raccoons have been put into the wild, where I hope they can survive. At least they have a better chance than they did before they came to me. And I can finally talk about it freely. Just imagine a free society, where you don't have to break "laws" to do the right thing. Where people don't have to worry about getting you in trouble by saying something to the wrong person. Ah, the adventures of living in a police state while still managing to do what you should. I never call them pets, though. Years ago I raised a baby raccoon that didn't come with any siblings. So, he bonded with me pretty hard. I got him early on Easter morning, and went to church with him inside my shirt. He had diarrhea- I named him CJ for "Crapper John". When he weaned, I let him slowly transition to an independent life. At the time I lived in a place where I could just let him come and go as he wished. I had to stop letting him in the house because he thought it was great fun to get on the table and counters and push everything onto the floor. And to go inside cabinets and shove everything out onto the floor. He would chitter excitedly while he did that. When I stopped letting him come in the house he would hang on the outside of the screen door and cry to come in- and if I ignored him he would pee through the screen into the house. Eventually he got over his desire to come in, but he continued to live under my house, and when I went outside he would follow me around, or (usually) climb up me and perch on my shoulders and cover my eyes with his hands. As he got bigger, it got more painful to have a huge raccoon climbing me. He loved to wrestle, and the sounds he made while wrestling were terrifying to people who didn't know him. He sounded like he was going to kill me, but he was very gentle. Wrestling with him did teach me how to handle full-size raccoons who were not as friendly, and that helped me out a time or two later. The worst experience he and I had was the time he killed another of the orphans I was raising. A squirrel. It jumped off my shoulder at a bad time, and ran under the house right into CJ. CJ knew I was angry and wouldn't come out from under the house for a few days. If I looked under there I could see his eyes shining back, but he wouldn't come out. When he finally did, he was very cautious and apologetic. Every night he would run from one end of the house to the other, hitting his head or back on every floor joist as he went. Back and forth. It was funny, but kind of hard to sleep through. 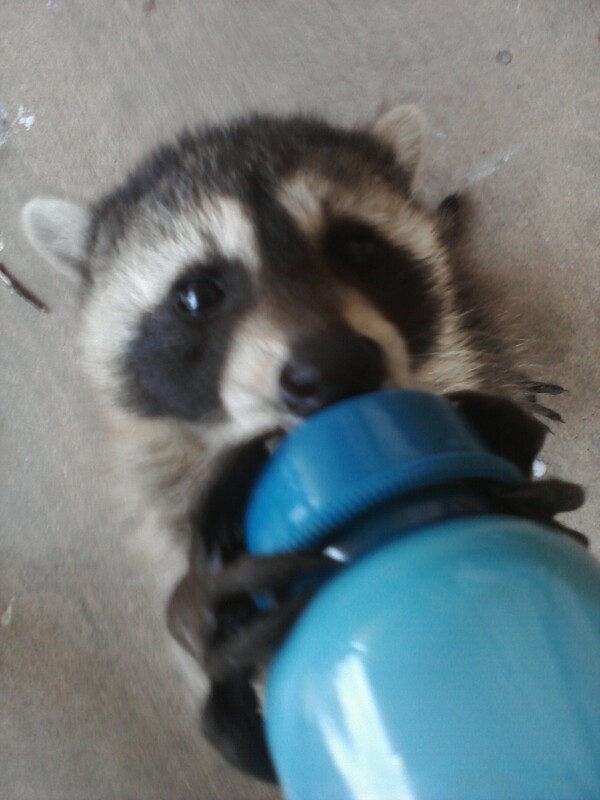 Eventually I decided he needed to find out how a raccoon was supposed to live, so I got him to follow me into the woods behind my house. I don't know why he never explored there on his own, but you could tell it was a totally new experience when he followed me out there. We sat in a creek and turned over rocks. We dug through rotten logs. He climbed trees. He loved it. He followed me home, but the next day was nowhere to be seen. A week or so later he came back, played a while, and then trotted back into the woods and I never saw him again. I hope he had a good, long, raccoony life.